A bouquet of portmanteaus (and one libfix) recently noted, from crapvalanche to repuglican. We talked about the grand saga of how the bad old days gave way to the women’s movement one afternoon while she was cooking lunch in the apartment on the East Side where she lived with her husband, Nick Pileggi. Low Attachment is the default, but other factors favor High Attachment in certain contexts. Here, real-world plausibility certainly favors High Attachment — but the head verb of the lower clause is considerably closer to the adverbial, which tempts the reader towards Low Attachment. Too bad. That’s Adam in the Garden of Eden, with two animal friends, including a penguin who appears to be investigating Adam’s private parts. This would be before the episode of the serpent, since Adam is figleafless. A few days ago I posted on “Mickey Mouse in the old days”, ending with a clearly homophobic strip from 1931 involving a slur cream-puff inhaler, which I couldn’t find in slang sources, but speculated it involved cream-puff ‘weaking, male homosexual’ and inhaler suggesting sucker. I then added a recent revision of the strip, in which cream-puff inhaler has become cake-eater, and I wondered about cake-eater. From Dean Allemang two days ago, a report of the portmanteau bac(k)ne ‘back acne’ and the related buttne ‘buttocks acne’, which turn out to be the leading edge of formations in -ne /ni/ ‘acne’. The last appeared to be the staff’s favorite, the wurst of the lot. and added Andrew, but since then I’ve collected Herbert and Robert — and now Randy. Trochaic names rule. From the Oreo people. 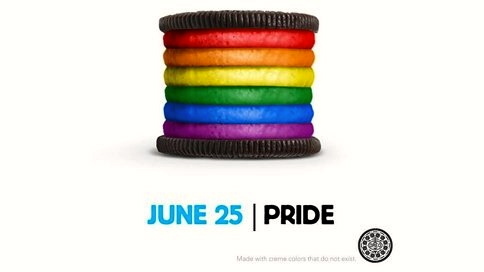 I’m not sure what the significance of June 25th is; this year, many pride parades were on Sunday the 24th, and Stonewall Day (commemmorating the Stonewall Inn riots in NYC) is the 28th. But the visual is nice. 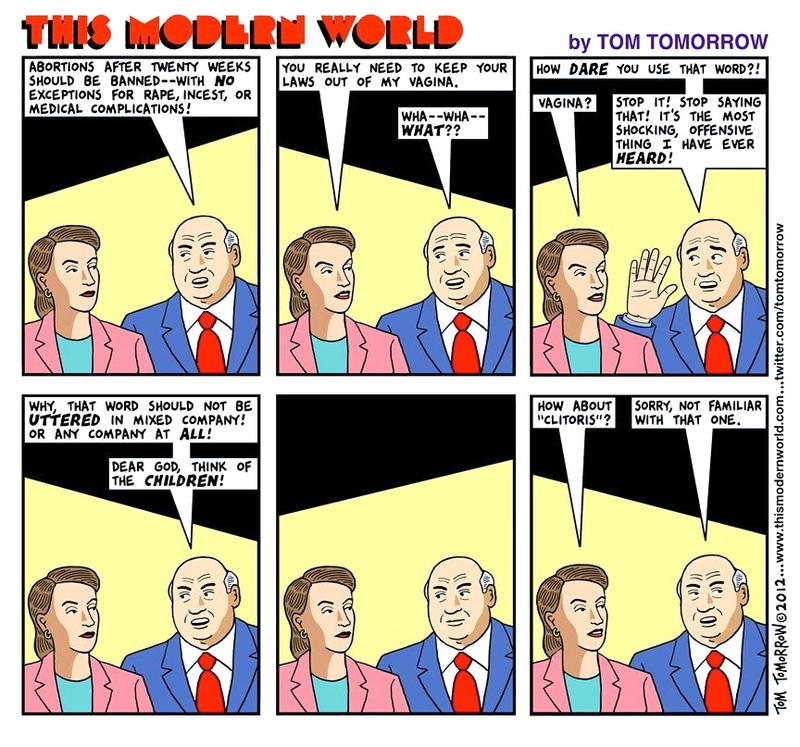 I’ll post in a while on the real-life events (in Michigan) that inspired the cartoon. You are currently browsing the Arnold Zwicky's Blog blog archives for June, 2012.